New. 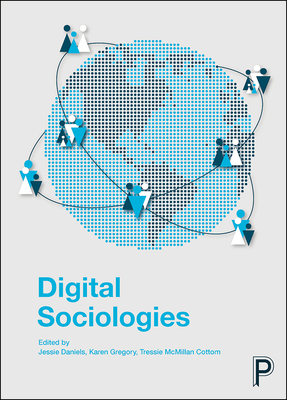 This is the first book to connect digital media technologies in digital sociology to traditional sociological and offers a much needed overview of it. It includes problems of the digital age in relation to inequality and identity, making it suitable for use for a global audience on a variety of courses. Editor(s): Daniels, Jessie; Gregory, Karen; Cottom, Tressie McMillan. Num Pages: 528 pages, 14 black & white illustrations, 6 black & white tables. BIC Classification: JFD; JHB; PDR. Category: (P) Professional & Vocational. Dimension: 242 x 172 x 29. Weight in Grams: 888. 2016. Reprint. Paperback.....We ship daily from our Bookshop. New. 528 p. 6 Tables, black and white; 14 Illustrations, black and white. Intended for college/higher education audience. Very Good. 1447329015 Crisp, clean, unread book with some shelfwear and a remainder mark to one edge-NICE.